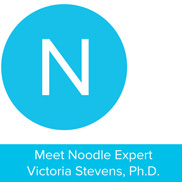 Noodle Expert Victoria Stevens discusses what led her to pursue a career helping at-risk youths and other trauma victims, how and what she continues to learn from Viktor Frankl, and how she maintains mindfulness amidst chaos. 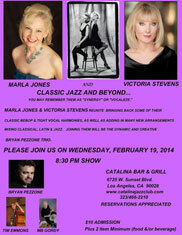 Marla Jones and Victoria Stevens - you may remember them as "Synergy" or "Vocaleze"
Marla Jones and Victoria Stevens reunite bringing back some of their classic bebop & tight voal harmonies, as well as adding in many new arrangements mixing classical, Latin & jazz. Joining them will be the dynamic and creative Brian Pezzone Trio. On the red carpet last year at the Children Uniting Nations Oscar Viewing Party and Awards Night for the mentor programs for foster youth (including my Academic Mentor Program for Foster Youth which is part of my Stevens Creativity, Imagination and Leadership Training). 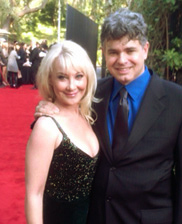 I am here with Bryan Pezzone, the brilliant pianist, who performed at the event. A short article by Dr. Stevens published in the 2011 Martha's Vineyard Chamber Music Society, Summer Concert Series event program. In fact some of the world’s most famous thinkers owed their paradigm shaking leaps to daydreams..."
The author considers combinatory play as an intersection between creativity, play, and neuroaesthetics. She discusses combinatory play as vital to the creative process in art and science, particularly with regard to the incubation of new ideas. She reviews findings from current neurobiological research and outlines the way that the brain activates various regions when creative, combinatory play uses conscious and unconscious cognitive and emotional processes. At a particular point, forcing attention and not truncating the space and time for mental play actually inhibits insight and creativity. After the period of focused conscious attention involved in the first stage, the prepared mind seems to need to relax in the second stage and allow the unconscious mind to dominate and incubate the knowledge, experiences, and expertise already gained to make more remote and unusual connections. In other words, the brain needs to play with information freely. This kind of awake dreaming and diffused attention, a state of mind in which we think without thinking, seems so much a part of everyday life that we rarely take it seriously. In fact, it is not easy to let the mind wander deliberately. Still, doodling and daydreaming can be taught and developed as a skill. Learning to focus on not focusing or concentrate on not concentrating constitutes a complex form of play of the highest order. Once mastered, this special, imaginative combinatory play frees the mind and enables a fluid blend of conscious and unconscious cognitive processes. This process is not only essential to creativity, but to the imagination, metacognition, and empathy, and it incorporates emotional and cognitive bodily self-regulation, unconscious and conscious scanning, processing and cognition, and fluid interconnections between the hemispheres of the brain. So doodling, you see, something as simple, as innocuous, as disposable as your daily doodle, is (or can be) a “complex form of play of the highest order.” Doodling! 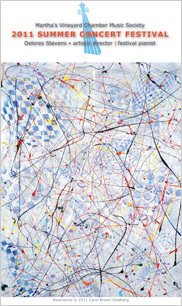 Stevens’ paper makes a wealth of connections between play and creativity, fantasy and awareness, art and the mind. And yet it was this one connection, described almost in passing, that reverberated in me like the sound of a struck cymbal: doodling could be taught and developed as a skill. Doodling is improv. It’s like rap or jazz or composing variations on somebody’s theme. It’s walking without knowing where you’re going until you find yourself there. Like playing a game you make up as you play. Video: Dr. Victoria Stevens discusses the concepts and results of her important research into Creativity and education for the 21st century. 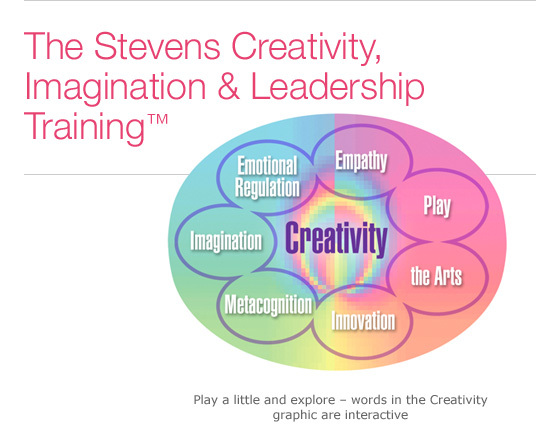 Click here for the introduction and click above on the seven components of the Creativity graphic for specific explanations. The role that training and exposure to the arts play in education is totally dependent upon how one defines the goal of education. Is the goal of education to inspire children to think, question and to be able to determine through conscious judgment a course of action that includes their own well-being as well as the well-being of those they come into contact with, and to have the ability to apply self-discipline to whatever they choose as a career path, and to interact well with those with whom they work and choose to have in their personal life? Or is it to turn out young adults who are competent enough to enter the work force, are obedient to authority (or rebellious against it), have little or no interpersonal skills, as well as having little or no intrapersonal skills? We have to ask ourselves, given the current system, what is the purpose of the curricular structure and what is the information being given to the teachers of our nation's children? Additionally, we must address the following question: when we state to our children that if they complete their basic education within our current system they will have the capacity to be successful in life, are we telling them the truth? The lack of the development of play, emotional regulation, creativity, imagination, metacogniton and empathy, and the elimination of the arts as basic to the development of these skills within our educational system could have serious negative consequences for the future of our society. These consequences could occur at the level of artistic and scientific creative invention as well as at the level of social behavior. It is imperative that our society implement the changes that are being called for from all areas: psychological, social, economic and political, or our students will face a future unprepared to survive the realities of millennial change that are already upon us and are to come. 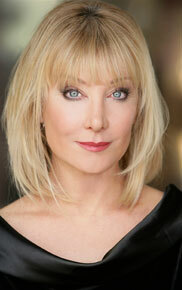 Presentation by Dr. Victoria Stevens & Bryan Pezzone: Why Do I Fly Without Wings or Feathers? ABOVE: The World Premiere of "Three Rivers" by Bryan Pezzone, with Bryan Pezzone, piano, Doug Masek, saxophone and Victoria Stevens, spoken word and vocals - performing a concert for the Martha's Vineyard Chamber Music Society: Summer Chamber Music Series, August 13 & 14. Victoria’s work regarding the value of providing meaningful arts learning for our students and her emphasis on creativity, imagination, metacognition, and empathy, is most important as we adults work with students toward their successful lives and their well-being. Victoria clearly addresses necessary 21st century skill development through the arts that enhances the entire learning mode and self-development of our students, especially in light of the fact that these skills are not directly taught or focused upon in other academic areas. 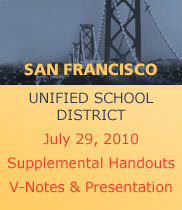 Why Include Art in Your Curriculum? Read Dr. Victoria Steven's Top 10 reasons why it's beneficial having the arts in your school curriculum. Also posted on the MOCA website. 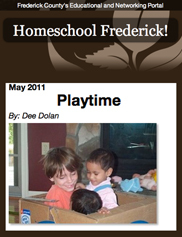 The importance of playtime experiences - Victoria Stevens is quoted in Dee Dolan's blog: Homeschool Frederick! 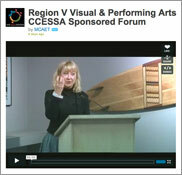 VIDEO - April 2010: Region V Visual & Performing Arts CCESSA Sponsored Forum with Dr. Victoria Stevens: How Arts Education Can Support Student Achievement in Our Region.